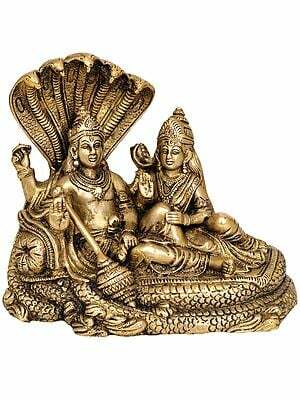 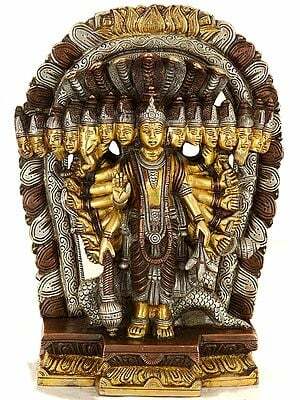 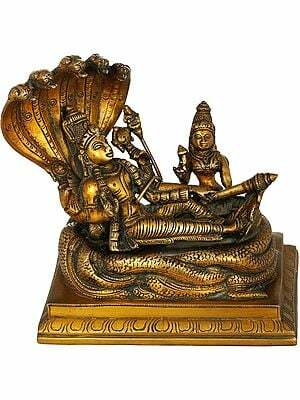 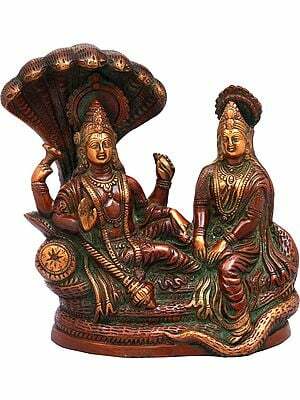 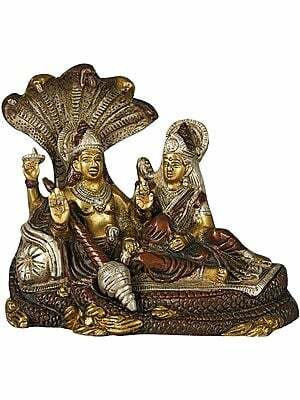 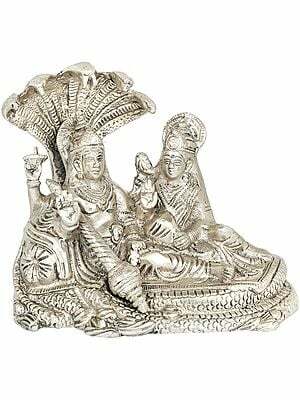 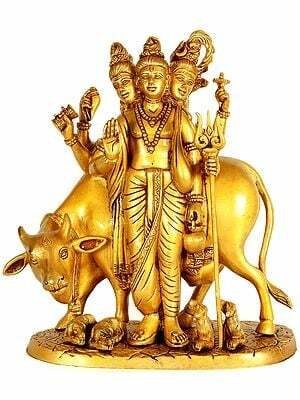 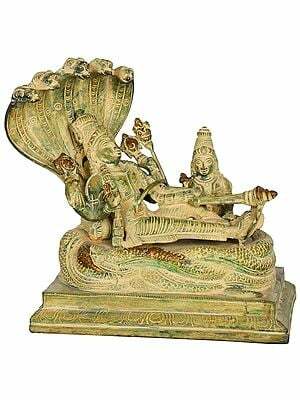 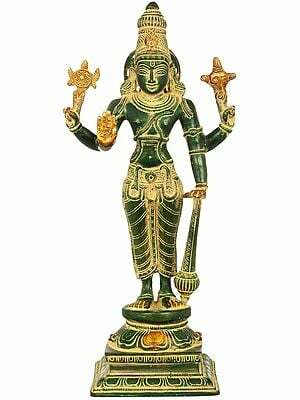 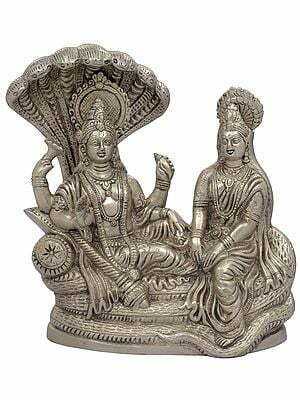 The Lord Vishnu is a quintessential idea in Hinduism. 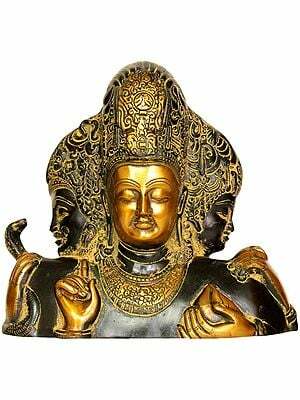 The name itself means 'pervader', which implies that he stands for the preserving life-force that pervades the entirety of the universe at varying levels. 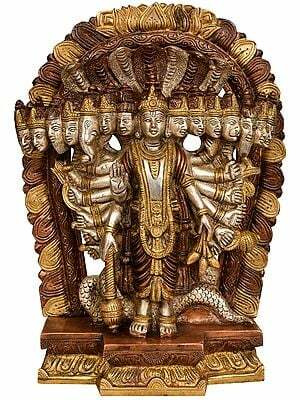 He has ten different avatars, but never the same ten at a point in time - which gives artists the freedom to sculpt Him in numberless forms. 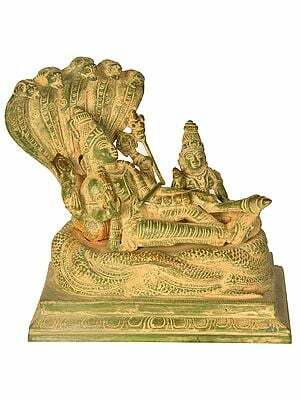 Sometimes He is depicted with multiple heads and arms in significant mudras, at others He is in the company of his consort; and then again He is lying down in slumber or standing erect, looking straight ahead of Him with his hand outstretched in blessing and a composure of countenance that radiates the greatest degree of harmony. 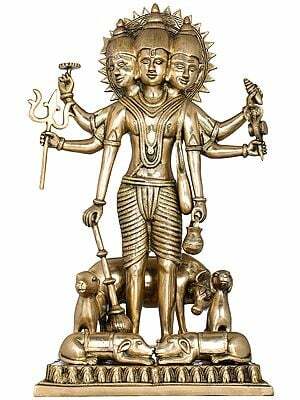 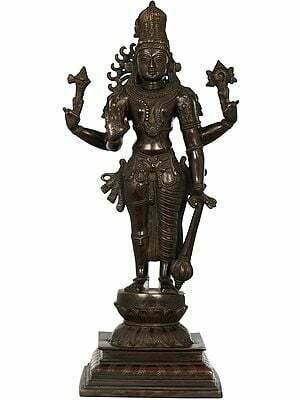 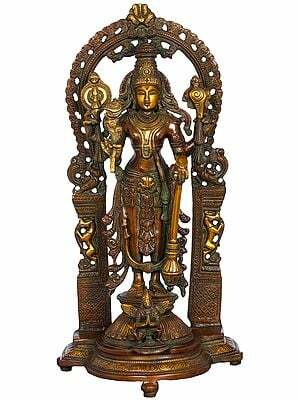 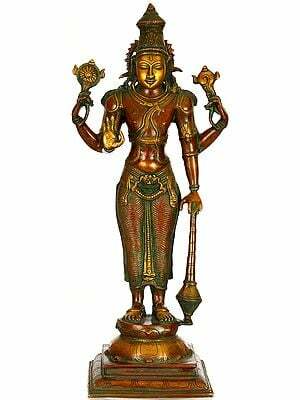 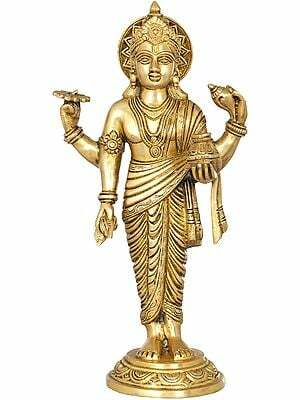 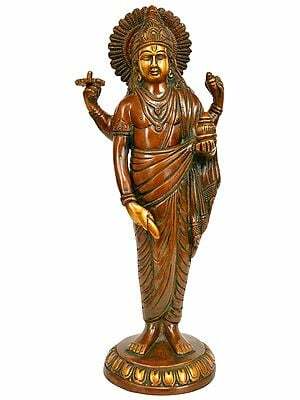 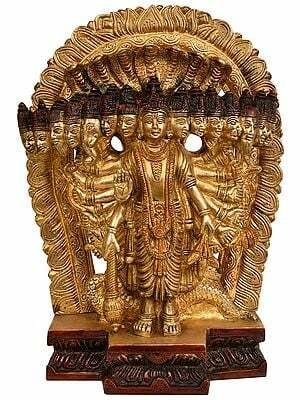 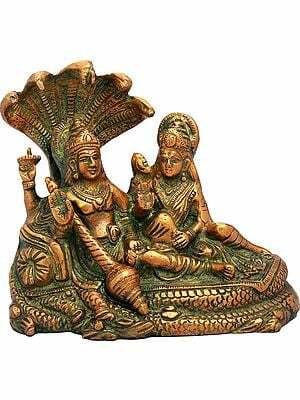 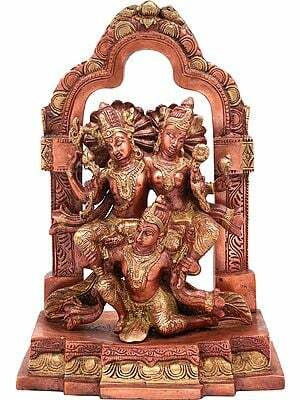 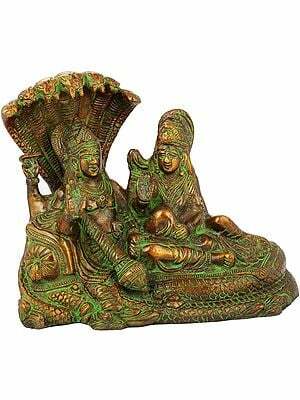 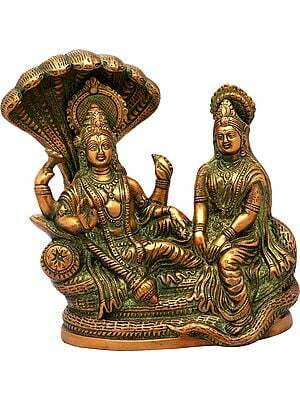 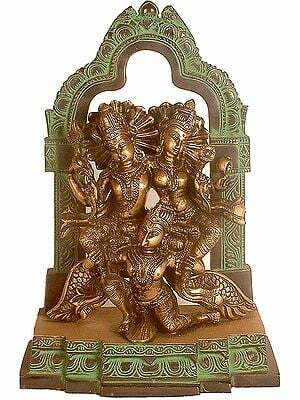 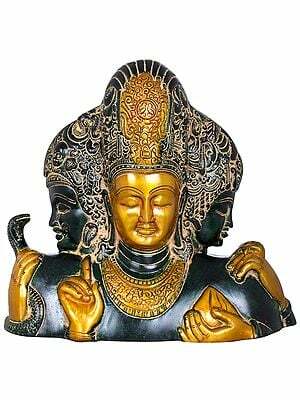 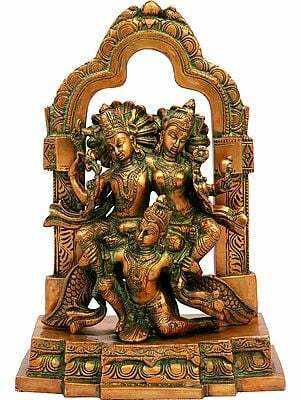 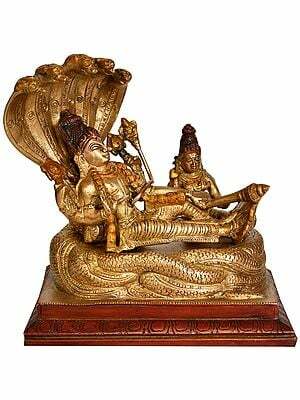 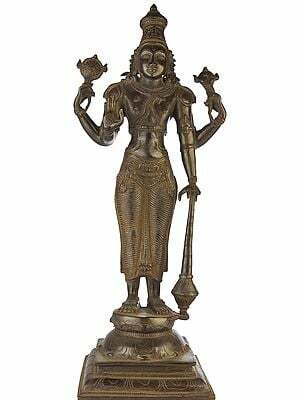 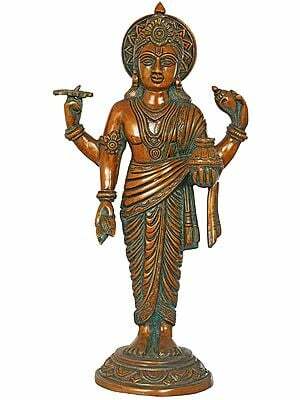 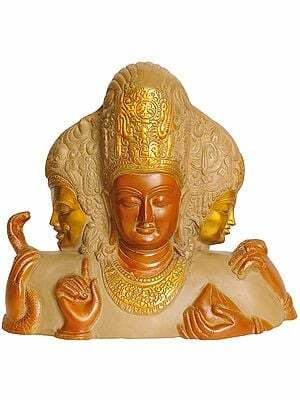 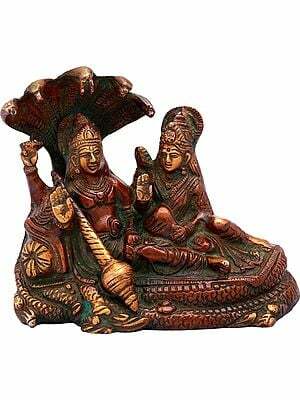 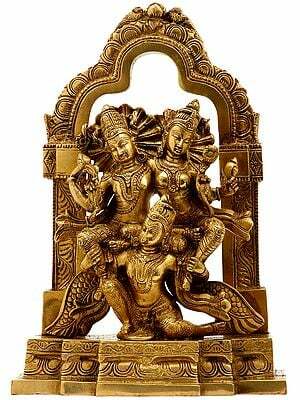 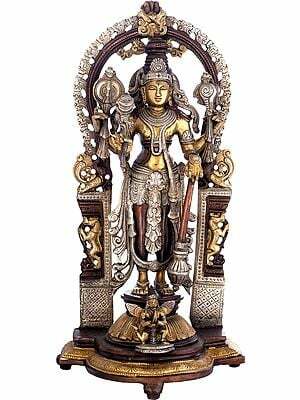 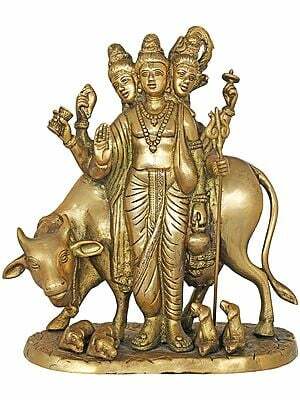 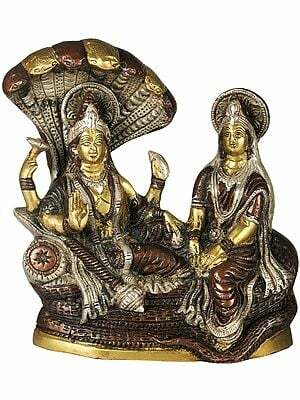 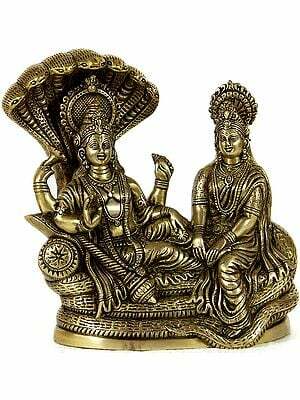 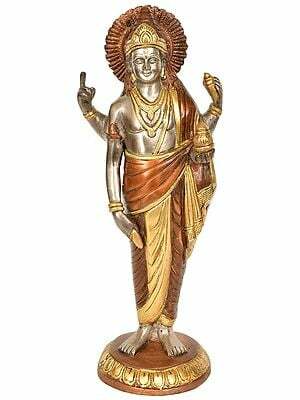 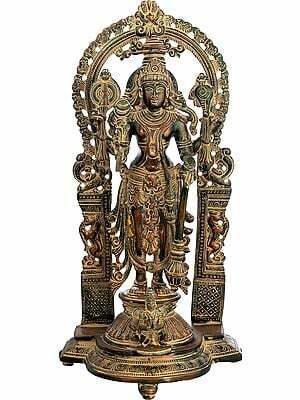 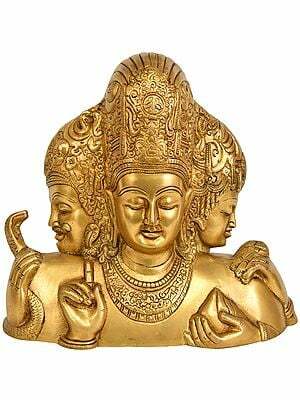 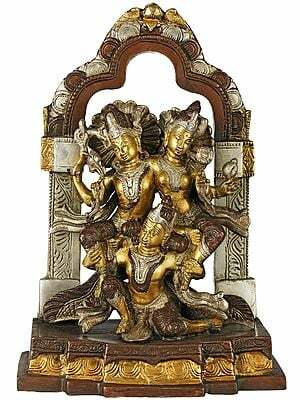 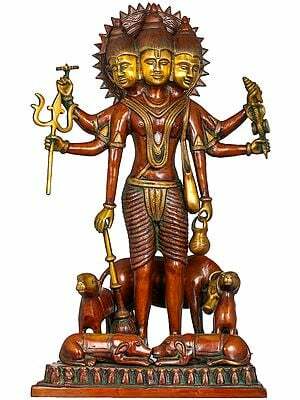 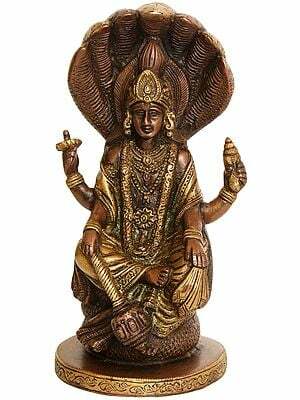 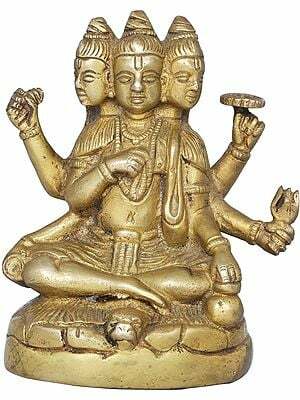 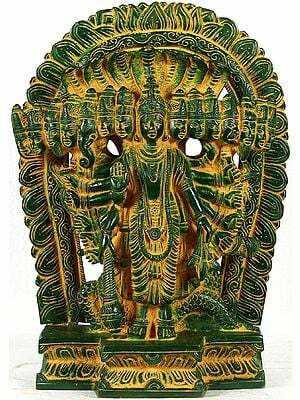 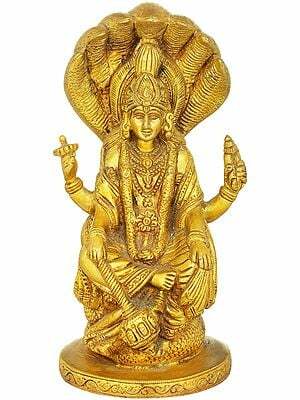 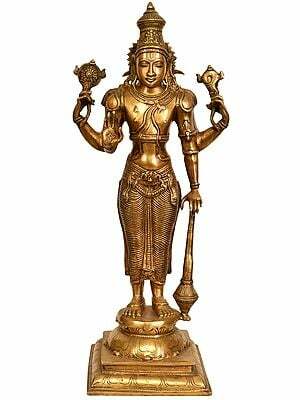 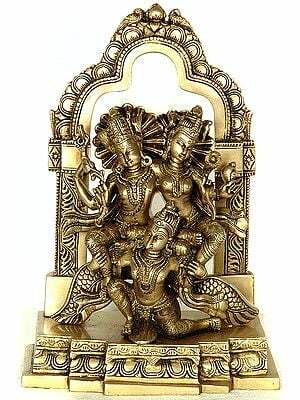 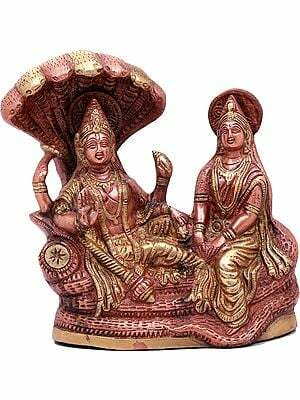 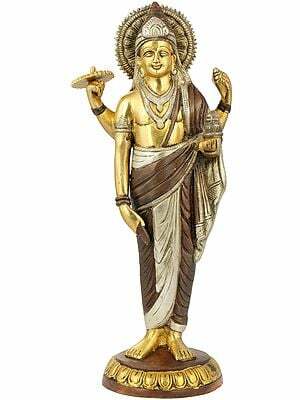 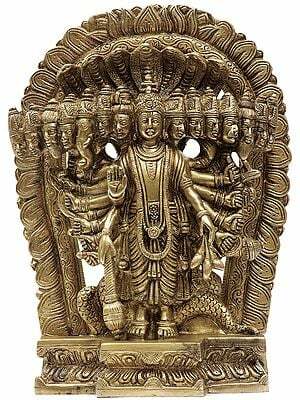 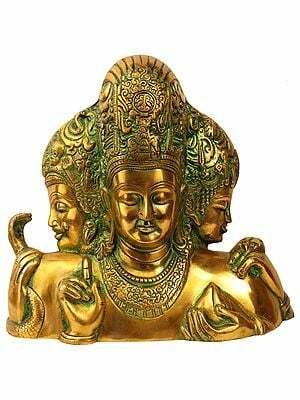 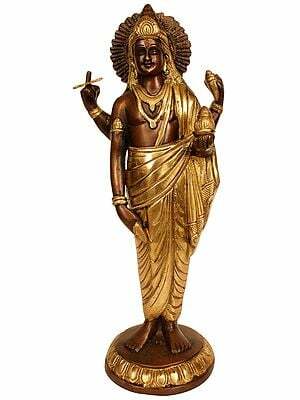 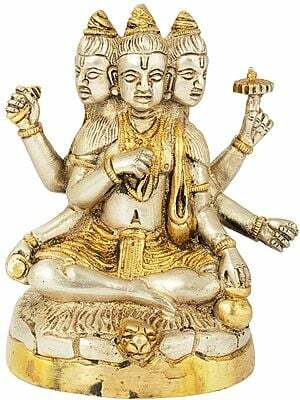 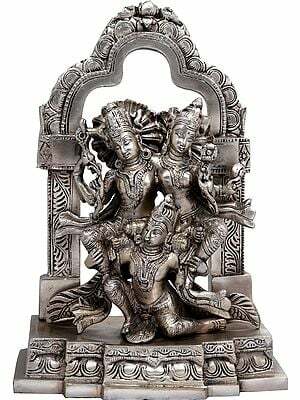 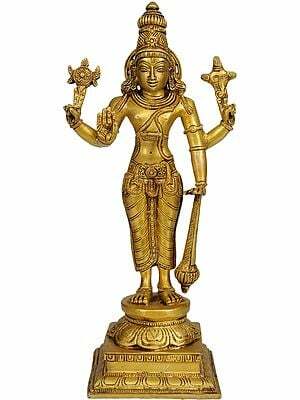 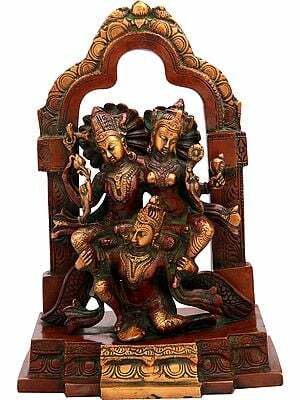 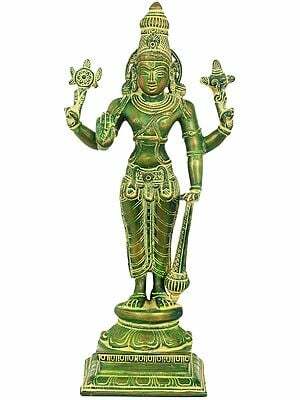 Exotic India's collection of the Lord's brass sculptures captures each and every one of His divine moods and postures.